Alan Lesgold is professor and former Renée and Richard Goldman Dean (2000-2016) of the School of Education at the University of Pittsburgh and also is professor of psychology and intelligent systems. He received his Ph.D. in psychology from Stanford University in 1971 and also holds an honorary doctorate from the Open University of the Netherlands. He is a fellow of the American Psychological Association (APA), in experimental, applied, and educational psychology, and also of the Association for Psychological Science and the American Educational Research Association. In 2001, he received the APA award for distinguished contributions of applications of psychology to education and training. In 1995, he was awarded the Educom Medal. He was president of the Applied Cognitive Psychology division of the International Association for Applied Psychology 2002-2006. Lesgold is a Lifetime National Associate of the National Research Council (National Academies). He also was appointed by Pennsylvania Governor Rendell as a member of the Governor’s Commission on Preparing America’s Teachers in 2005 and served later on the State’s commission on cyber high schools as well. He served as chair of the National Research Council committee on adolescent and adult literacy. In that role, he led an extensive study of the systems, both in the K-12 world and in community colleges, for remediating literacy problems. From 1986 to 2000, he was executive associate director of the Learning Research and Development Center at the University of Pittsburgh. He is on the board of Teaching Matters, a New York nonprofit organization that promotes teacher professional development. In 2014-15, he was part of the committee that evaluated the university-based teacher preparation programs of Israel for its Council on Higher Education. Lesgold has served the Pittsburgh community mostly in education-related activities, including past board service for A+ Schools, Youthworks, and the Pittsburgh Regional Center for Science Teaching. 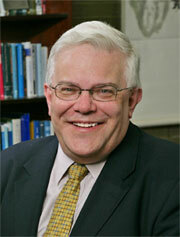 He serves as chair of the advisory board for the Center for Learning at Community College of Allegheny County.